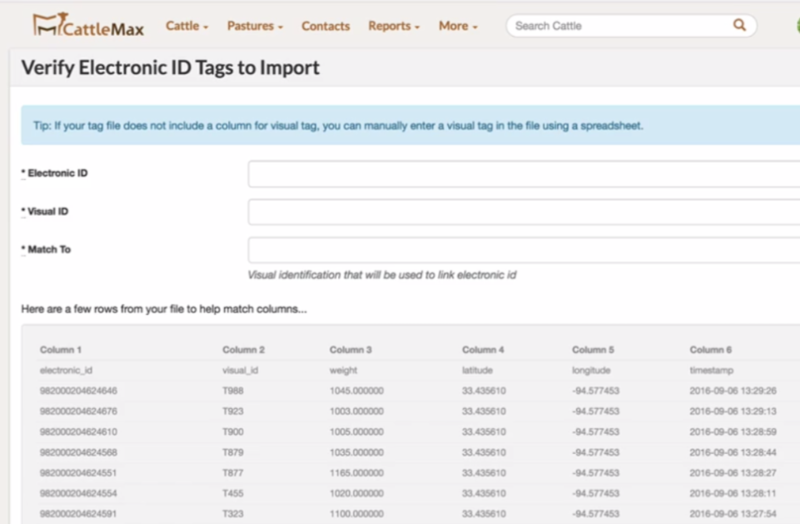 First, make sure you have a CSV file saved that has the EID identification, and the visual tag information, that matches the animal ID (Ear tag) in your CattleMax account. Or download a CSV file using the Cattle Tags App. 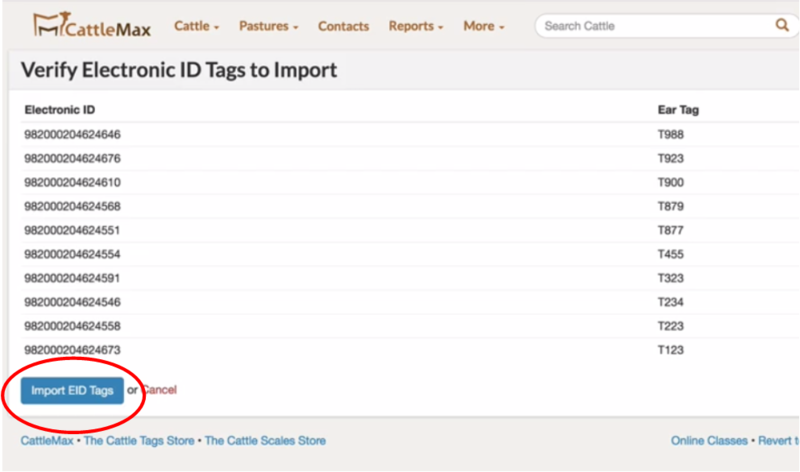 From the Dashboard, click on Cattle, then Import EID tags under Quick Links. CattleMax will ask you for the file that contains your EID's. Once the file is selected, click Continue. The next step is the Verify EID tags to Import Page. There you will choose the column that contains the EID information, Visual tag ID, then match that ID (example: .Ear tag for visual ID) Once you have made those selections click Continue. Now you can verify the EID with the Visual ID if all of the information matches you can now click Import EID Tags. Your EID tags have now been imported and can be used as a form of identification when using CattleMax or the Cattle Tags App.